What is Department of Cartoon and Animation? Department of Cartoon and Animation is a field that is based on theory and practice of synthesizing science with art and virtual reality. The Department of Cartoon and Animation, which is capable of opening important doors to the future of communication sciences, aims to transfer the theoretical knowledge in the field of communication by supporting them with practical training and educate the equipped professions and art people in need of the sector and universities of this field. The Department of Cartoon and Animation is a crucial area that is needed in all business and service sectors related to communication and visual arts in our age as digital communication technologies are developing rapidly. 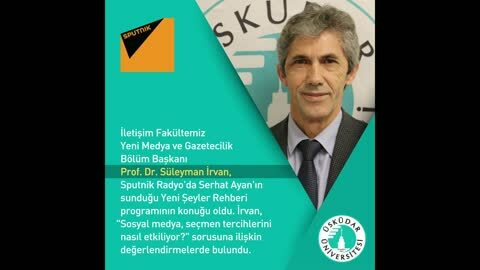 Üsküdar University Faculty of Communication also takes this feature into consideration and aims to train qualified personnel in the communication sector and to lead the training of qualified academic staff in the field. Üsküdar University's state-of-the-art facilities, state-of-the-art computer laboratories, television studios, filming, production and editing workshops provide a suitable environment for advanced education in the field of cartoons and animation. The department aims to be the best in its field and to be the best among them with its qualified academic staff. What are the courses of Department of Cartoon and Animation? The courses in the freshman year of the Department of Cartoon and Animation, which is organized in cooperation and coordination with the other departments of the Faculty of Communication, aim to provide the basic social science and basic communication science formation. In the second and third grades, 80% of the program consists of practical courses related to the field. The syllabus draws attention with its curriculum from general to specific, from theory to application and from compulsory to elective. As of the third grade, the student starts to take the elective courses of the faculty and university as well as the department electives. Our Department of Cartoon and Animation students can also choose courses from other departments of the faculty. It is ensured that the student makes internship in cartoon and animation field in various institutions and organizations in the last two years for the purpose to reinforce the education given in the school with the sector experience. Internship practice is also considered important in terms of university-sector cooperation. There is a wide business area in various sectors for the graduates. In terms of trained staff, the level of meeting the requirements has not been reached yet, even though there are various Departments of Cartoon and Animation in universities in Turkey. Therefore, the need for trained staff in the field is quite high. What are the working areas of the Department of Cartoon and Animation? Cartoon and animation experts and artists can find employment opportunities in many different sectors such as communication, advertising, publicity, public relations, propaganda, education and health. Graduates can work within the communication units of all public and private institutions and organizations, public relations departments, advertising and promotion units. They can be employed as a motion image designer in advertising and public relations. They can find employment opportunities in the television and cinema sector as a cartoon designer, producer and director. Graduates can work as academicians in related departments of universities. Student admission planned for 2019-2020 academic year.